Back at the start of the Autumn, Henri, myself and a few others in the Streamr team received an email from one of our most trusted advisors, the enigmatic Mr X (he likes his privacy). He was in the shower, he said, when it struck him what had been bothering him about the project. Mr X is known for being blunt. That’s what makes him a great advisor. Not just for Streamr but for many an excellent project out there. In a series of emails, he went on to detail practical steps which he thought we should be taking to shift direction. Around the same time, Gnosis founder Martin Köppelmann published this — an outline for a Web3 first strategy — which I and a few other members of the project spotted and started passing around to the rest of the team (ironically on our internal Slack). What subsequently erupted amongst the core Streamr team was a detailed, passionate and lengthy debate over the project’s identity; who we are in terms of mission and structures, what we’ve been doing and how that might fit with our end aims, and whether our actions around partnerships and communications also fit with our ideals and goals. Was Mr X right? Has Streamr been too eager to delve into the enterprise field? Have we adopted too much of a startup culture as opposed to an open source decentralized one? How could we better utilise other decentralized applications in the everyday life of the project, and extend a technical hand to our brothers and sisters in the rest of the space? Of course, decentralized means a number of things to a number of people. There’s no need to rehash those discussions here but it’s plenty clear that the term is more than just a descriptor of the technical architecture of nodes, users, incentives etc. At its core, the term also encompasses normative stipulations; beliefs around how humanity should and can act. Many of these other aspects of decentralization were discussed with passion in multiple sessions during the Web3 Summit and Devcon4. Having attended a number of those, one useful summation might be this, that we Ethereans (h/t Lane Rettig) are building tools to help humanity rebalance and reshape the often competing interests of individual liberty and communal cooperation. If high-libertarianism seems to leave no room for common endeavour and socialism’s centralised methods are inherently threatening to the individual, then Ethereans are trying to build a new, technologically backed, Cooperativism. Streamr’s mission to build a p2p pub/sub Network for real-time data exchange fits directly into that definition. People and organisations should be sovereign over their data. And yet information sharing has been a crucial building block of modernity. So how do we share data for common benefit without giving up our property and personal information to someone else to manage and ultimately control? We believe our decentralized Network will help reconcile those interests. It allows entities to share their data for common good, whilst retaining all rights to their property including financial benefits. However that’s not at all what Mr X was getting at. It is not enough that Streamr simply build decentralized tools. A centralized multinational listed on a stock exchange like say Microsoft could do that. We must also live our ideals. We must live decentralized as far as is possible. So how do we do that? Full time contributors to Streamr should be seeking at every stage to empower those around them who want to develop Streamr, its vision, and the wider decentralized ecosystem on which Streamr and others will rely. The Platonic ideal might have been this: once crowdfunded, the vision contained in the Streamr whitepaper would be executed by a DAO. (According to Gavin Wood, the Ethereum Foundation once intended to do just this). But such governance structures aren’t yet practicable. So in the very least, full time contributors to Streamr should be seeking at every stage to empower those around them who want to develop Streamr, its vision, and the wider decentralized ecosystem on which Streamr and others will rely. Following that internal debate, we emerged with a series of tangible actions. If we’re brutally honest, none is wildly radical for the space but the list represents a commitment to a direction. And in fact since that list was devised, we took a conscious choice to wait a month or so to prove to the Streamr and wider Ethereum/ decentralizing community that we can cross off a few of these action items. Crypto powered Kickback — use it instead of eventbrite. It’s pretty awesome. We now Peep! Peepth is the decentralized version of Twitter. There aren’t many Streamr community users on Peepth as yet but as this picks up (and when we sort out our MetaMask permissions) we will shift to a Peepth first strategy, meaning we’ll Peep before we Tweet. Staying with social media, we changed our Twitter handle. The old one @Streamrinc was way too corporate sounding. There was an option to go for @StreamrNetwork but this was pretty cumbersome (@StreamrNet sounded no better). Instead we reached out to Todd Stabley, senior media engineer at Duke University, and the owner of the handle @streamr. Todd turned out to be a real lovely guy and was happy to gift us the handle as he hadn’t used it for several years. May the gods of karma shine upon you Todd. We’ve started using Kickback for events. The platform is pretty awesome in ensuring attendance at free events. Event participants stake ETH for entrance, and if they don’t turn up their stake is handed back as a kickback (gedit!) to those who did attend. Attendees basically make a profit off of no shows. 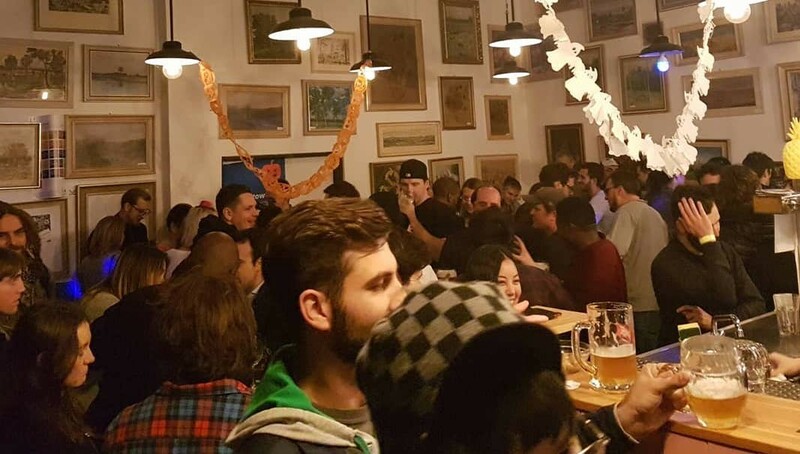 Thank you to Golem’s community manager and all round hero MP, for organising our Cryptoween party in Prague through the platform with Kickback founder Makoto Inoue. Getting more involved in community hackathons. One of our proudest moments in the later half of this year was participating in Mexico in September. 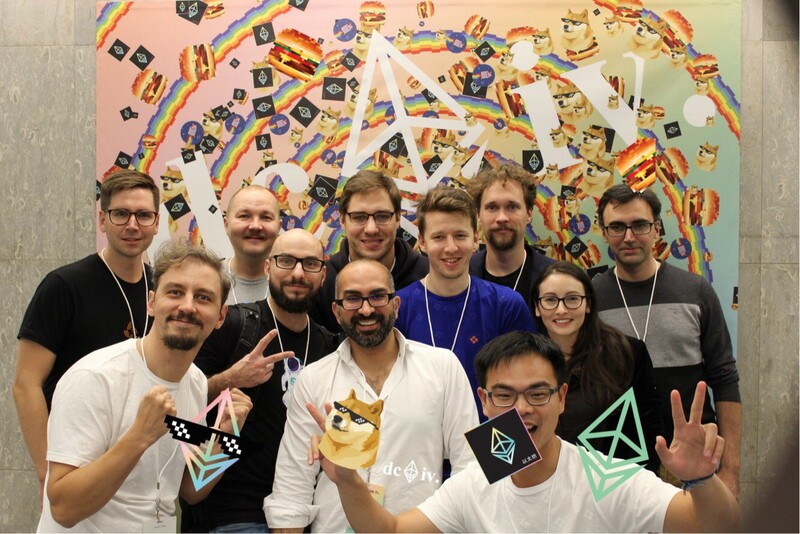 But during these last few weeks, we also got involved in the Web3 Summit in Berlin and the Status hackathon in Prague. We’re ramping up this effort both in participating and educating others and ourselves. This is something small (more ambitious announcements below) but it helps kickstart our first official bounty programme. We’re looking to incentivise biz dev introductions to our Marketplace and so if you are interested in learning more, and helping to increase the numbers of Marketplace buyers and sellers, contact us at marketplace@streamr.com. Change our url to streamr.network. Streamr.com is a layover from pre-crowdfunded Streamr as it was a few years ago. It’s now time to change it and signal what we’re really about. We’re also currently updating the website so it can better relay to people that Streamr is an open-source, network-oriented, decentralization project. We will also open up our design materials on the new website to give the community more resources. Alongside this we plan to ensure that our merchandise is much easier to obtain (currently you can only get it through us) by uploading our designs on Teespring. We recently had a community competition to come up with inventive new merchandise and received some excellent and inventive entries. We still need to act on that and we will. *Update* this is now done! See here. We will contribute to space-wide research projects. In fact we’re already doing a little of this for Plasma (more soon). Devcon4 was a real inspiration for those working on the Network. So where possible, we will always try and cooperate within the space. And of course this follows previous promises to disseminate our learning and research. *Update* we’ll be launching Monoplasma at ETHDevener. We also contributed to ETHCatHerders to facilitate governance. ​​The partnerships team will do more to identify crypto partners to team up with for decentralized pilots. The Dev team will ensure that users will soon be able to do away with accounts and emails in the sign up process on the platform and just use an Ethereum address as their form of ID. *Update* this is now done. See here. Also where useful, the team will do more to integrate User flow into other decentralized platforms such as Bancor. Open source the Marketplace. Okay hands up — we’ve snuck this one in because we already promised to do it before. But Henri and the dev team haven’t forgotten. And overall, we’ll try and be less self-critical about our work-in-progress and open source brand new things earlier on. Ideally everything, even highly exploratory bits and pieces doomed to fail, would be open source from the moment the repository is created. *Update* — we’ve now done this! See here . Look into Akasha and Ghost for blog posting platform to replace Medium and will wait for live streaming solutions to emerge from Livepeer and other projects. Now as you’ll notice, this is a list that the roughly 35 or so full time contributors to Streamr have promised to implement. However we are only the custodians of this technology. There are others out there who have also contributed to the development of the project. And it’s time that fact was recognised with something substantial. So perhaps most importantly of all, and mirroring the steps taken by many other projects, we are going to set up a community fund backed up by a significant amount of DATA (the upper bounds of six figures in DATA). However unlike most other projects, this fund will be directly run by community. After discussions with a number of leading community members, we have begun etching out the rough structure for the fund in order to make its administration open, fair and effective. In that regard, we’d like the community fund members to be elected by the wider community. And although the specific purposes of the fund will largely be left to the community, to ensure it isn’t subverted, the fund panel will likely have one full-time Streamr contributor on it with the power of veto. And of course we hope all of this management can take place using blockchain governance as much as possible. *Update* Fund elections have concluded and the fund is just about off the ground. See here. So this is a fairly long list of actions but there’s something more we’d like you to do. Firstly, please do give us your ideas. If you’re reading this in Medium then head to our subreddit where this is also posted, and comment there. The second action everyone in the community should take part in is to hold us to account! We might get sloppy with some of this or let it fade. Your job is to ensure we stick to our direction or at least explain why certain actions above weren’t taken.